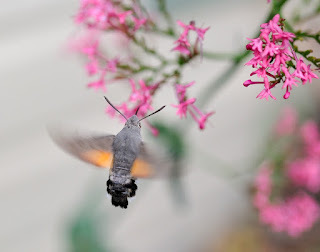 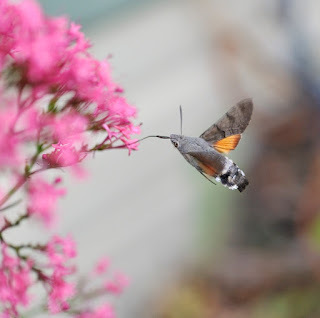 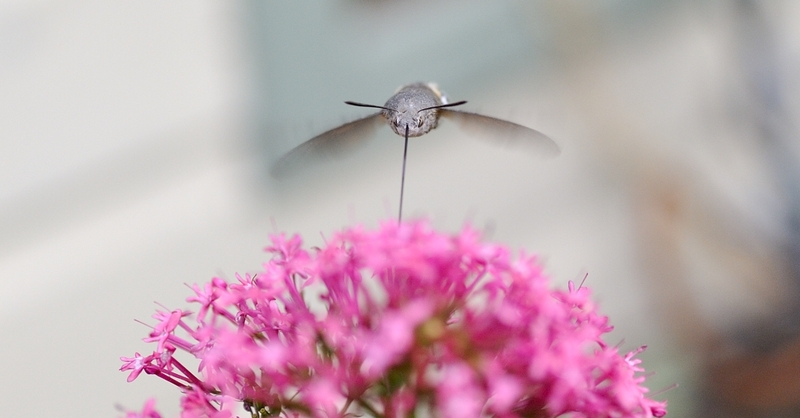 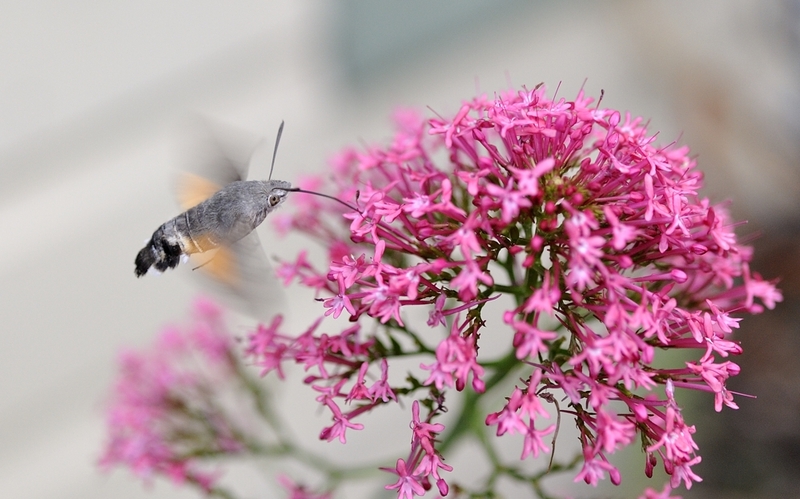 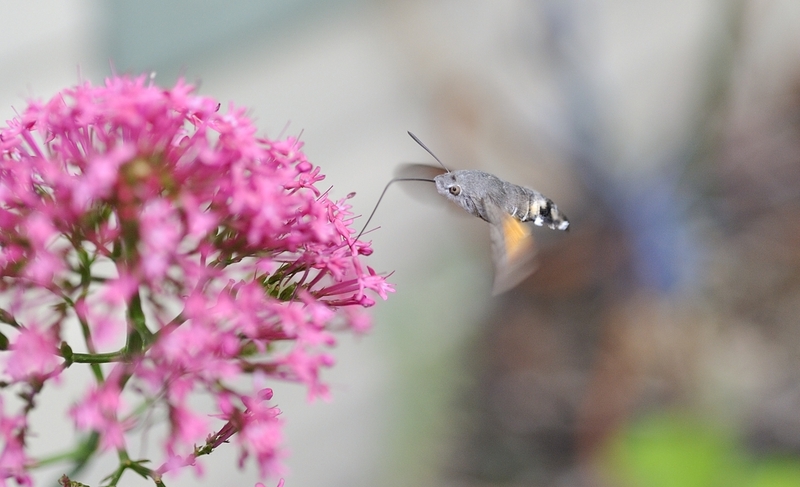 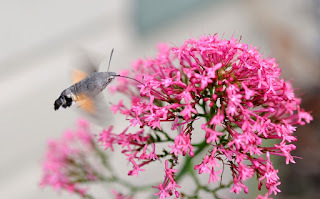 A few days ago my dad phoned me to say he had just seen a Hummingbird Hawkmoth feeding in his garden. 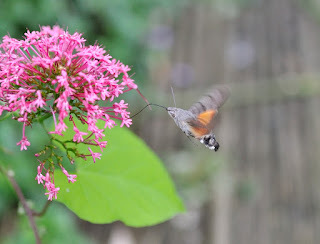 At the time we were having new decking and grass laid in the rear garden so I kept an eye on the plants to see if they were around our way. Sure enough as 3 of us were talking next to a Honeysuckle bush, a Hummingbird Hawkmoth hovered directly in front of us feeding away. I edged away and ran for the camera, but alas it had departed seconds later. 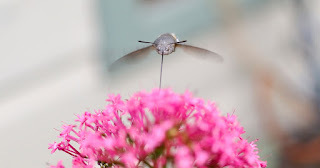 But I knew one was visiting the garden and so I would keep an eye out for it's return. 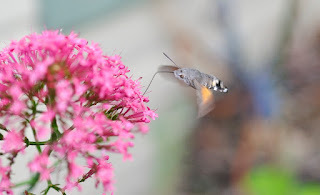 Over the next couple of days I saw it return but it never stayed longer than a few seconds, until late in the day I noticed it feeding on a favourite pink flower (name of plant not known) I knew it would feed longer on this plant and so rushed off to get the camera and as hoped for, it was still feeding away and so I was able to grab a few shots before the light and the moth went away. 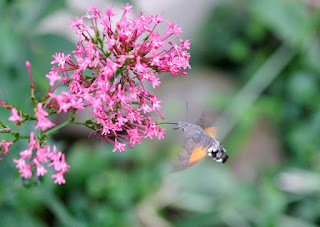 What a tricky moth to photograph, it was so fast moving from flower to flower. 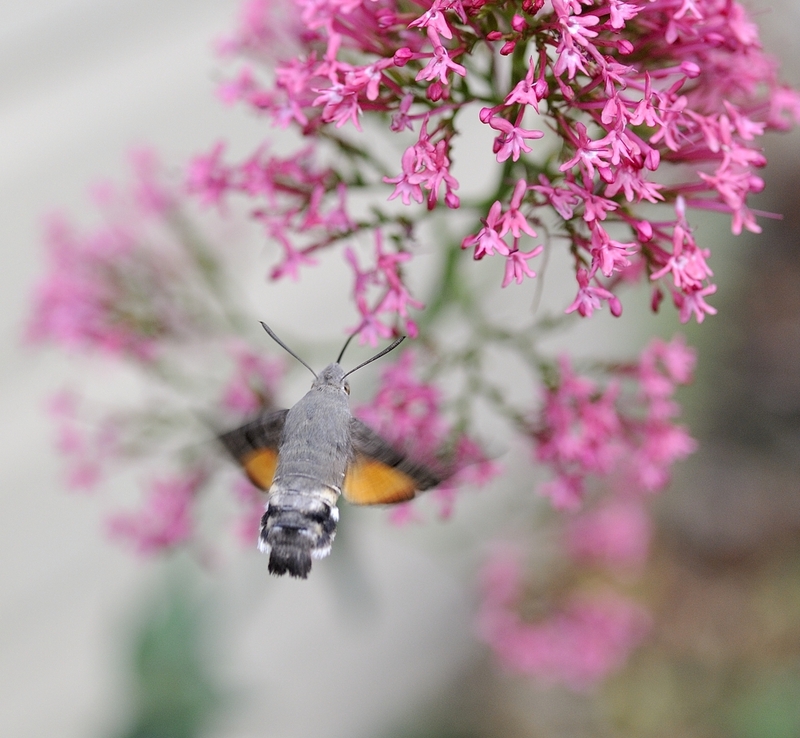 It was that close at times I could hear the rapid wing beat vibrations, such a lovely little moth and always a welcome sight in the garden. 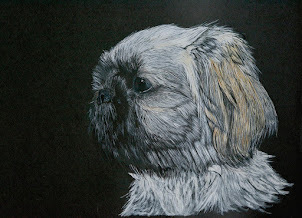 New Painting Added to Artwork Blog. 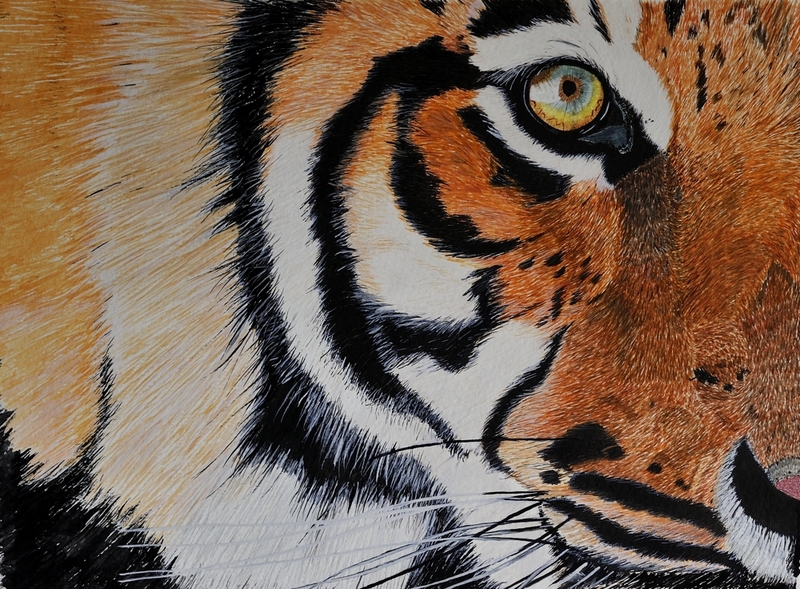 New painting added to my Artwork Blog. 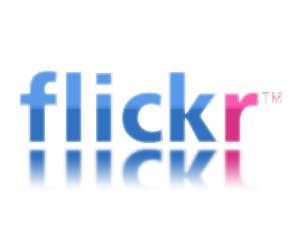 Click on the link with the Great grey owl.